Baby Gourmet Plus is Mom's secret for getting babies to love what's good for them! 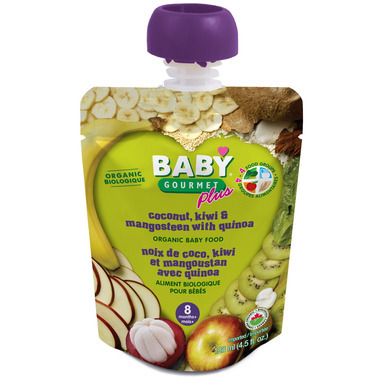 Your baby will love the tastiness of Baby Gourmet Plus Coconut, Kiwi & Mangosteen With Quinoa. Ingredients: Organic apple, organic banana, organic kiwi, organic greek yogurt, organic coconut milk, organic spinach, organic mangosteen, organic quinoa, organic lemon juice concentrate, ascorbic acid. Great taste! 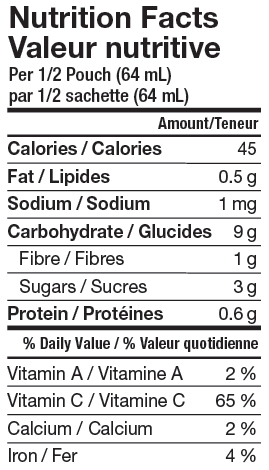 My kids love them - I also use them for my after gym snack on the drive home! My baby loves them! they actually taste phenomenal! This flavour is her favorite!